The Beer Junction in West Seattle is exactly what it sounds like. It’s a fun place for friends and strangers to connect over beer, wine, cider and more beer. Boasting Seattle’s largest beer selection, The Beer Junction is a bottle shop with more than 1,300 domestic and imported beers from more than 50 different countries. If that’s not enough for you, The Beer Junction is also a fun beer bar with more than 20 craft beers on tap. The Beer Junction in West Seattle (4511 California Ave. SW) is perfect for a pint or two, a specialty six-pack, or buying beer in bulk. The shop will happily fill your empty growlers with their two counter pressure growler fillers. Instead of your beer going flat after a few days, the counter pressure growler fillers keep your beer fresh for months at a time (as long as you don’t open it). The Beer Junction also sells specialty kegs, but just be aware that you have to pre-order them. 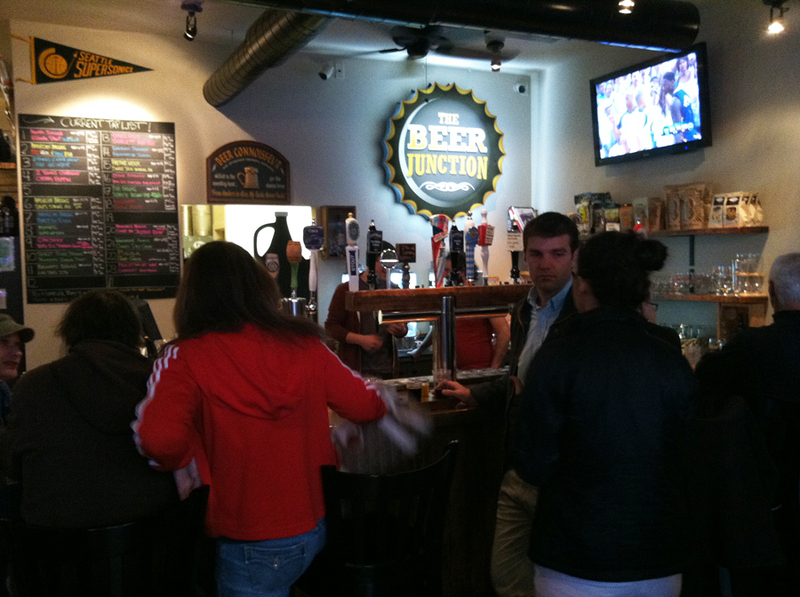 The Beer Junction rotates what beers they offer, so the selection is ever-changing. They do a great job of updating their new arrivals online, so it’s always easy to find out if your favorite brews are in-house or not. If you want to get adventurous and try new and different beers, The Beer Junction hosts a tasting event every Thursday from 5pm-8pm. You can sample five different beers for just $4. Like I briefly mentioned earlier, The Beer Junction goes beyond beer. They also sell wine on tap and by the bottle, ciders, mead, sake, and more. No matter what you’re looking for, the helpful staff at The Beer Junction is willing to answer any questions you have. The glass says it all! To put it simply — The Beer Junction in West Seattle is awesome. From beers I guzzled in Europe to incredible local Washington brews, The Beer Junction truly has it all. There’s only one problem I can find with the place — it’s not good for indecisive people (like me). 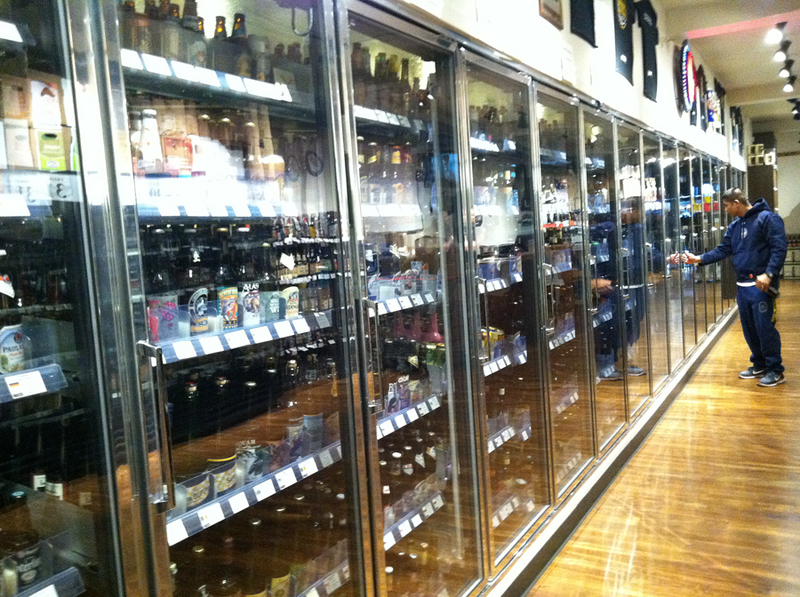 There are so many choices at The Beer Junction, it’s hard to pick just a few brews to take home. To make life easy, I’d buy the whole frickin’ store if I could. 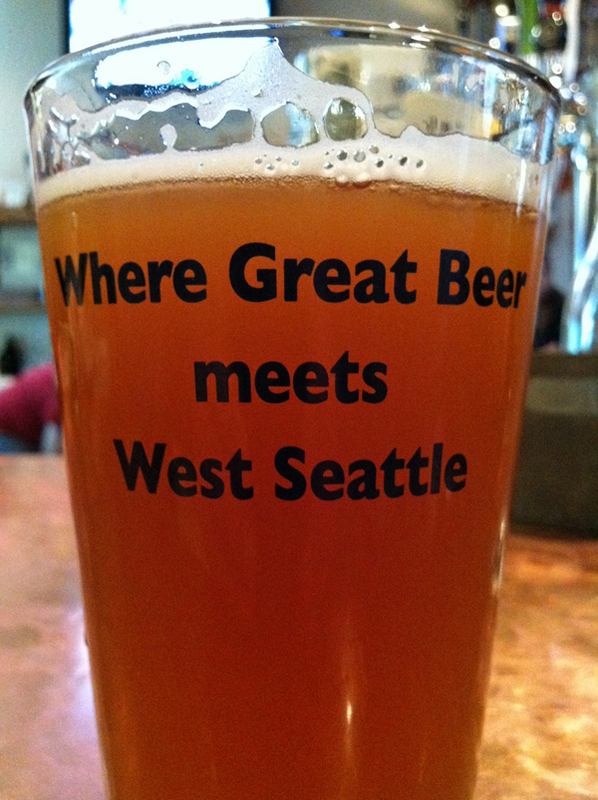 Have you ever been to The Beer Junction in West Seattle? What do you think of the bottle room and beer bar? We’d love to hear from you! Please leave your comments below or connect with us on Facebook, Google+ and Twitter. Don’t forget to also check out Seattle Bloggers for more great places to eat and drink in the Emerald City and around the Puget Sound!